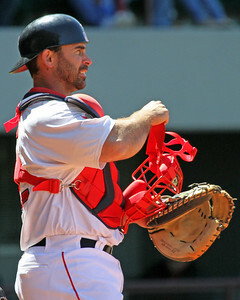 Hill is expected to join Pawtucket as he catches up from a late arrival to camp following the death of his son. The left-hander did not allow a single run in any of his spring appearances and has an opt-out on May 15. Hill first pitched for Boston in 2010-2012, but was waylayed by injuries for most of that time. Hinojosa has also been sent to pitch out of the bullpen for Pawtucket following a tough spring. The 28-year-old right-hander missed all of 2013 while defecting from Cuba. Ely, who hasn't pitched all spring due to injury, will remain in extended spring training until he is healthy enough for game action. Lastly, Mijares has been cut by the team after signing a minor league deal in January. The 29-year-old had 5.14 ERA across seven innings this spring. Ken Rosenthal reported that Mijares opted out of his deal, rather than being cut by the team.